Hello Doodlebug fans! Jennifer here with my take on the washi tape challenge. I know washi tape has been around forever, but to be honest, I haven't really done much with, it until now. Since I have a couple of birthday's coming up this month. 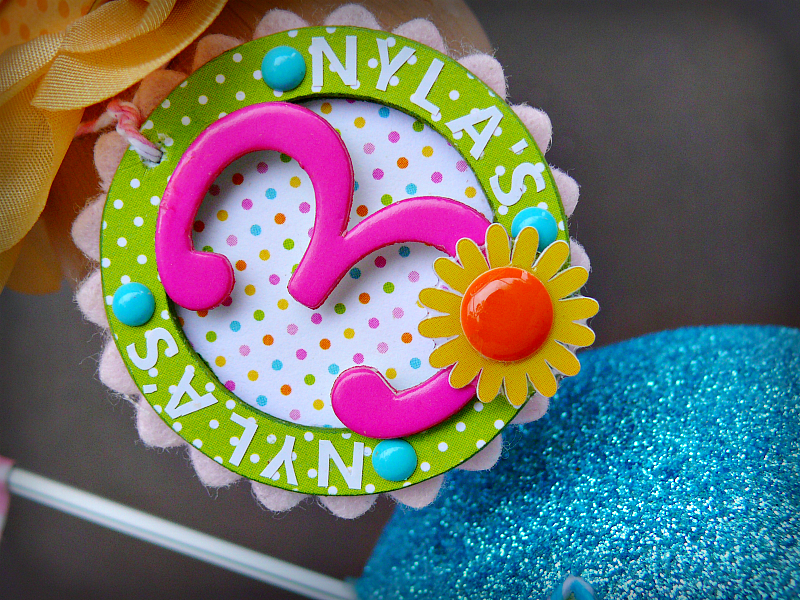 I decide to combine the challenge with a birthday centerpiece, I was planning to make. 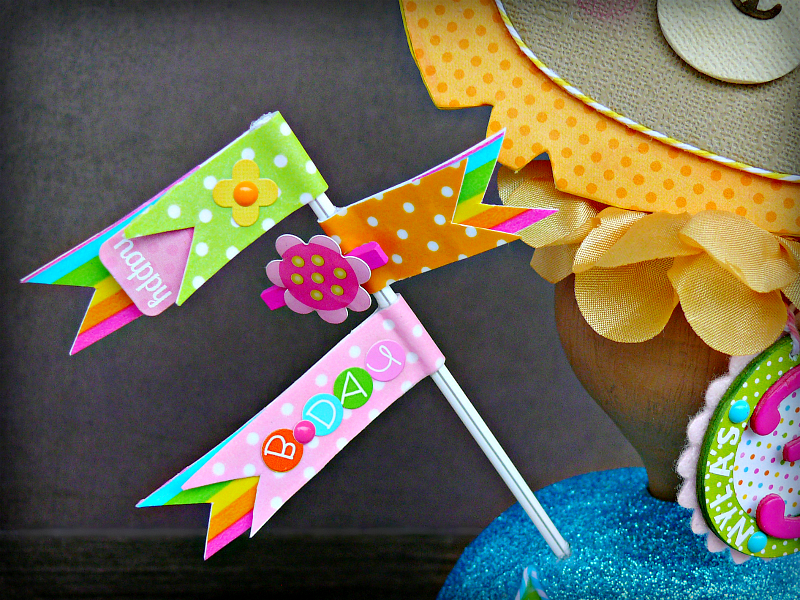 Rainbow Stripe and Swiss Dot washi tapes, were used along with some Pixies and stickers to create fancy birthday flags. 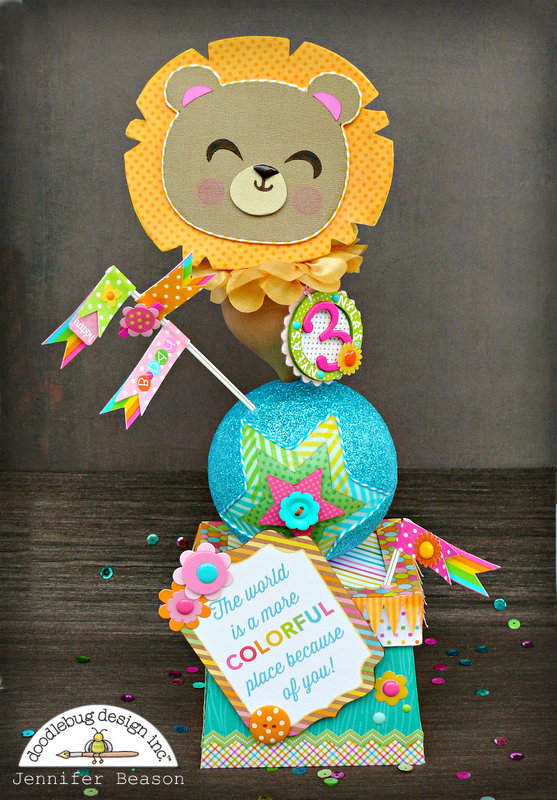 Here you can see, I used an assortment of Candy Stripe tapes to outline the star on the lion's balancing ball. To create the ball, a 3" paper mache ball was painted teal. 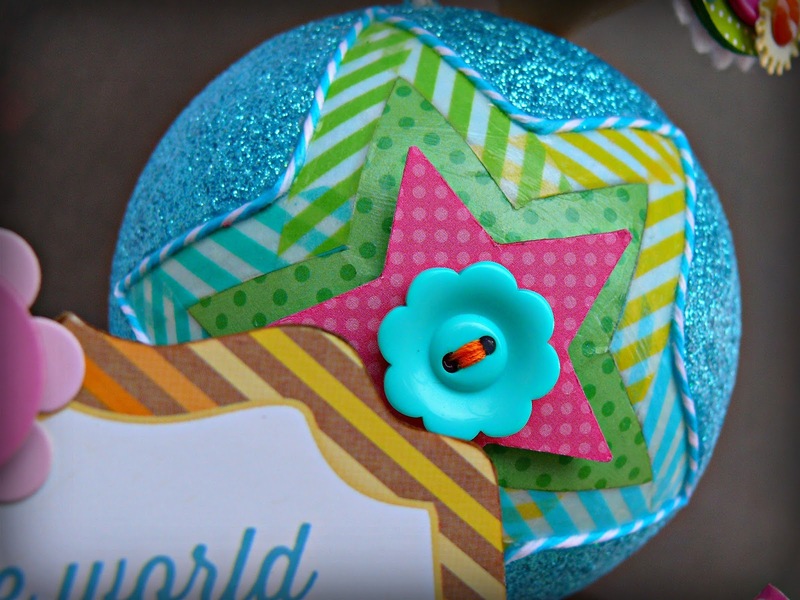 A star was then cut out of patterned paper and mod podged onto the ball. Next, each point of the star was outlined with a different colored tape. Mod podge was used to seal. Once the ball was dry, I used a low tack tape to mask off the star. The rest of the ball was covered with glue and glitter was applied. When the ball was dry, I removed the mask. Next, some twine was glued around the edge of the star. A chipboard star and button were then glued to the center of the star to embellish. Mod Podge was used to seal the entire ball. Here are a few more close ups of the finished project. 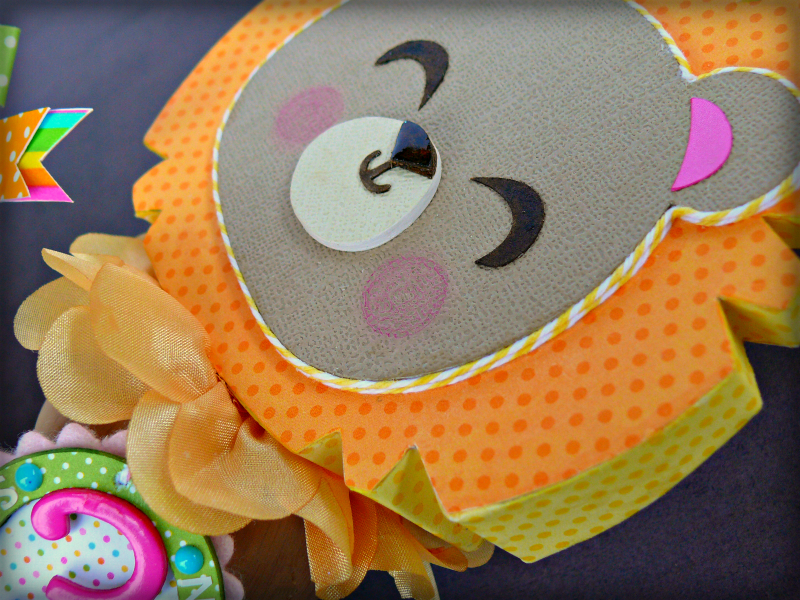 The lion's head was made out of chipboard and his body from a Christmas ornament. Small vinyl letters and the number three were added to a chipboard circle to personalize. A wood box was used for the base of the project. 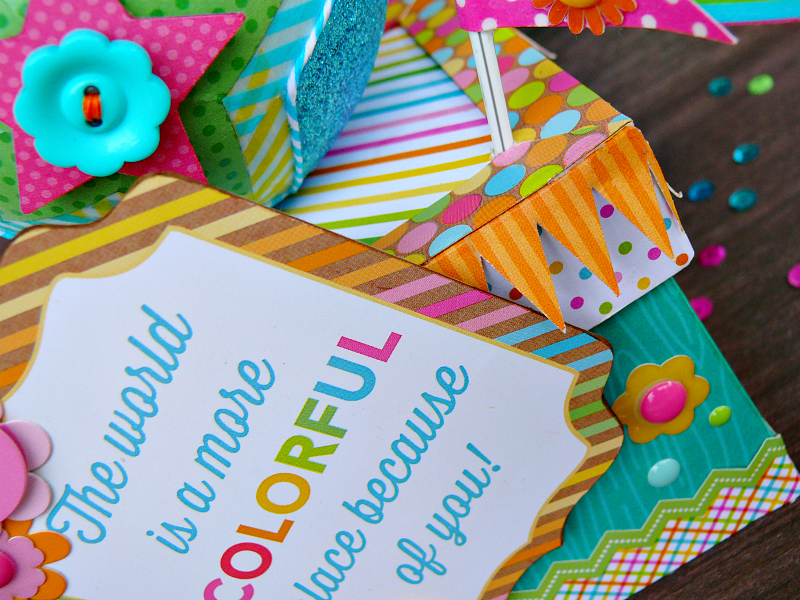 Lots of fun patterned papers and stickers from the Hello Sunshine collection were used to cover and embellish the box. Super cute, just love this project! Great use of the washi! This is so FUN!! I want to come to this party!!! 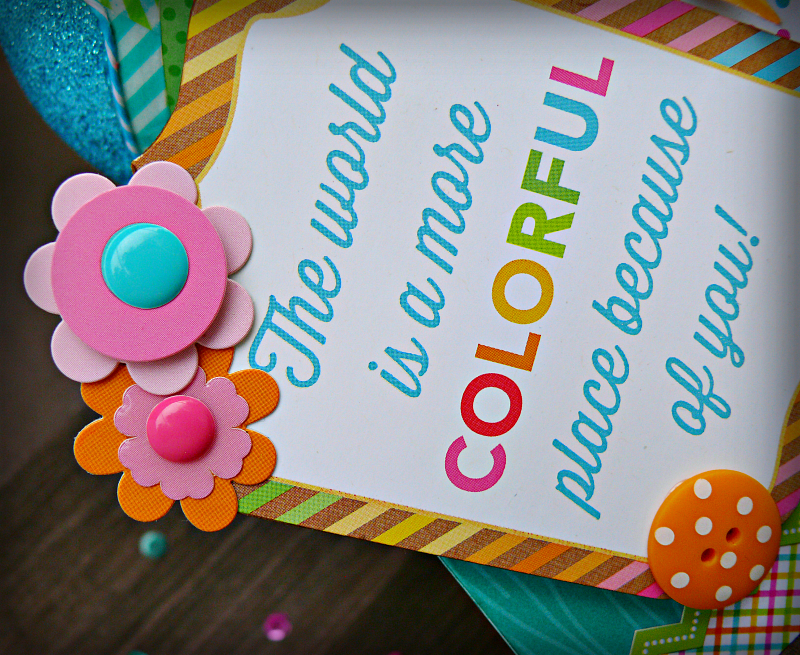 This is incredible cool and so well done - what a whiz you are at using Doodlebug products - so well and truly awesome!! !